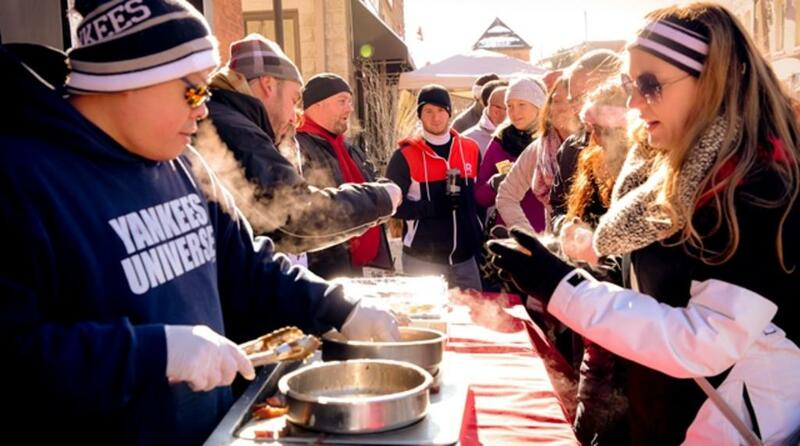 SARATOGA SPRINGS, NY—Discover Saratoga is excited to announce the winners of 21st Annual Chowderfest, which was held on Saturday, February 2 from 11-4. Event-goers sampled a variety of chowder from participating vendors for $1 and voted for their favorite. Winners were chosen in 7 different categories, which was announced at the Saratoga Springs Heritage Area Visitor Center during the Annual Award Ceremony on February 2 at 6:30. Official 21st Annual Saratoga Chowderfest merchandise is still available for purchase at the Saratoga Springs Heritage Area Visitor Center at 297 Broadway. Long sleeve shirts are $10 ($12 for 2XL) and hats are $7.